OMNI means “all, every, of every kind.” That’s a perfect summation of the vision – a beer for everyone. 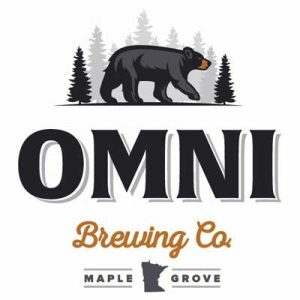 The team at OMNI Brewing serves a wide variety of interesting craft beers at their inviting taproom in Maple Grove. No pretense, just beer. The goal is to consistently pique your interest with new flavors and new takes on old favorites. Then keep your interest with a great selection of fresh, high quality beers. From session and scotch ales to IPAs and stouts; from ginger to habanero to blackberries; OMNI loves exploring and sharing. They see a world with all kinds of beers for all kinds of people.